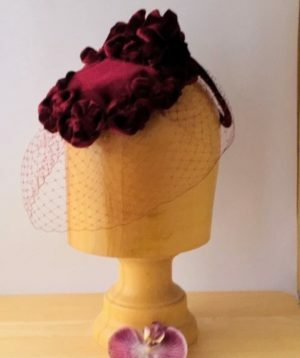 Margot is a sweet little hat which can be worn forward and flat, tilted jauntily to the side or tilted back on the head to make the most of the rear detail. 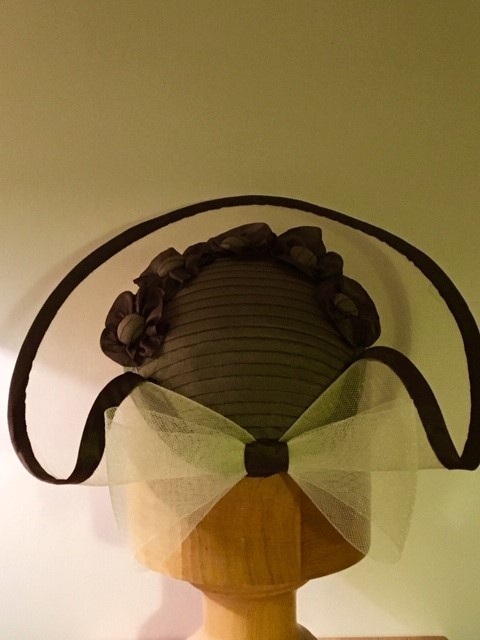 The brim is made of ivory Crin, edged with a brown soft satin handmade bias binding. 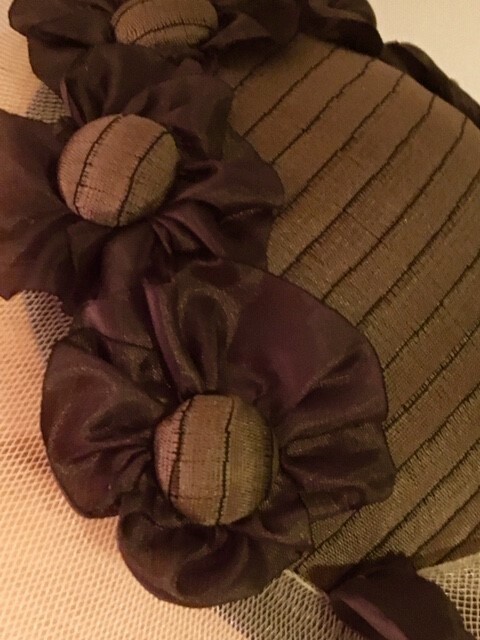 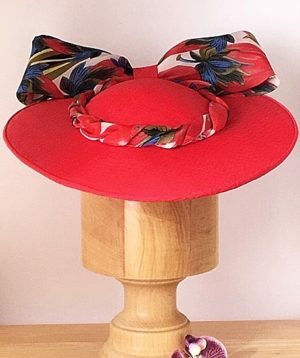 The brim is sewn up at the back and finished with a Crin bow with satin knot. 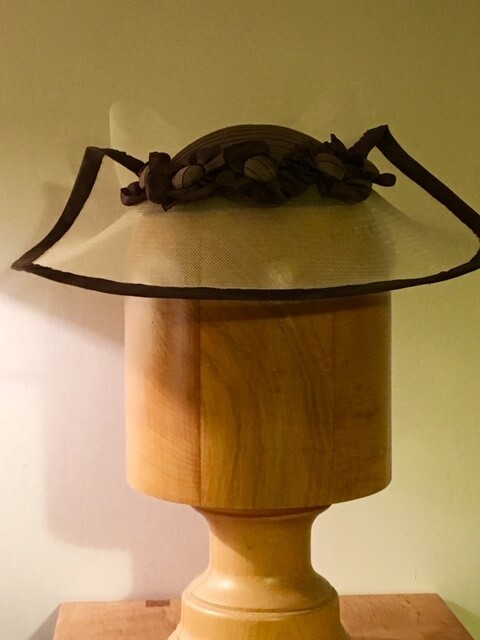 The crown is hand made with a double thickened base covered with brown embossed silk and is edged with silk covered buttons and satin rosettes. 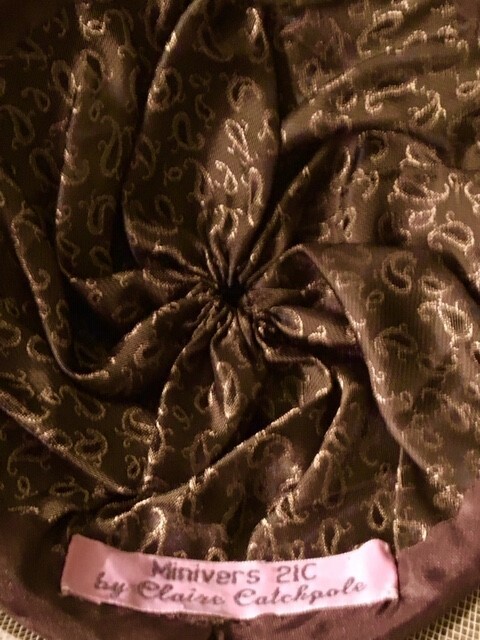 The inside of the crown is finished with a drawn-in lining. 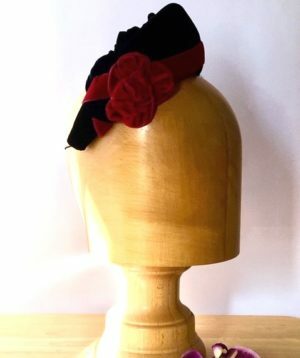 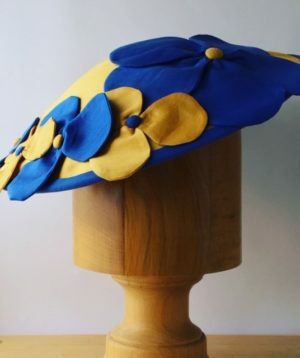 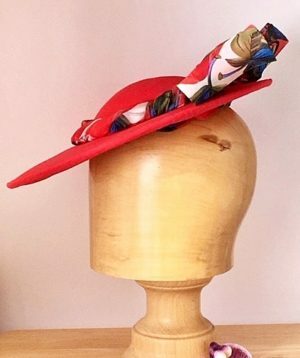 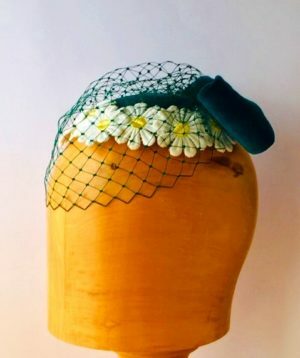 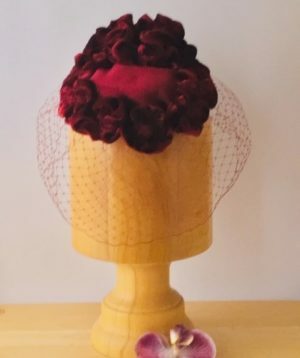 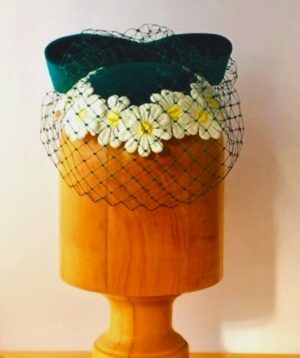 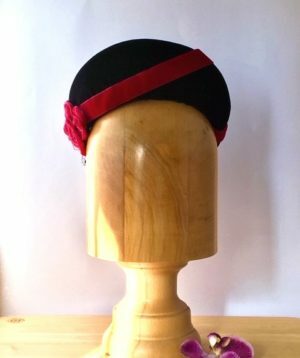 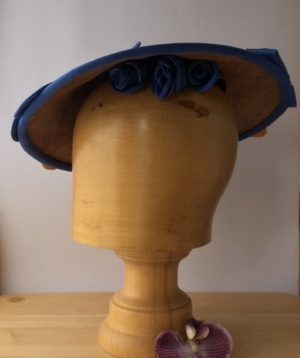 Hat will be for sale at London ‘Hatmosphere’ 2019 in readiness for the wedding and racing season and can be seen at the Old Brompton Gallery, Kensington, London during May and June.